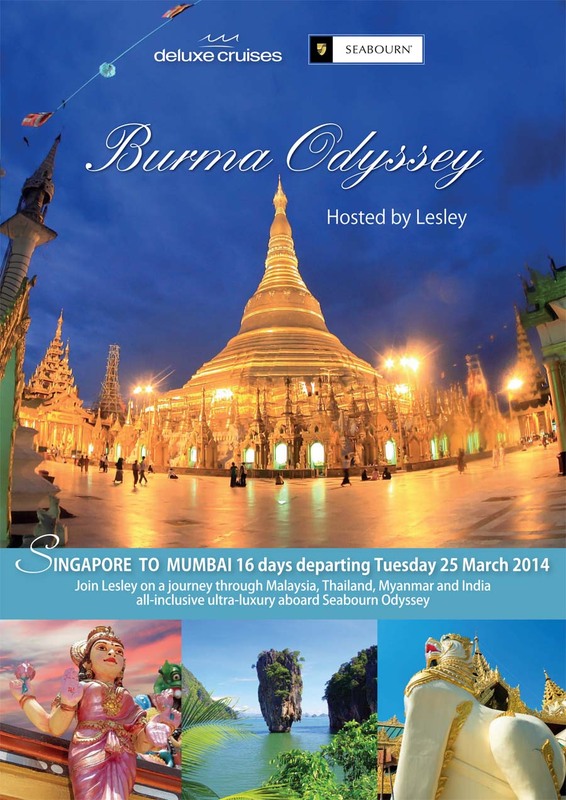 Join Lesley on a journey through Malaysia, Thailand, Myanmar and India all-inclusive ultra-luxury aboard Seabourn Odyssey. Click on the image to view the full online brochure. 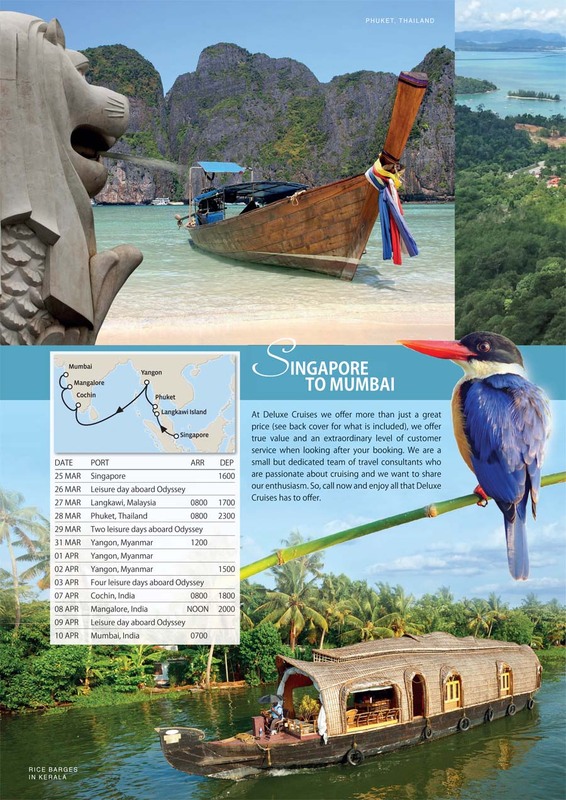 Call for the very latest pricing and availability plus ask about the post cruise tour with Lesley of Delhi Agra and Jaipur.